Eton Shirts Blue Signature Twill Shirt. 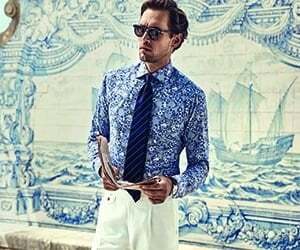 This shirt is cut in a contemporary fit and retains that simple, yet stylish appearance that make's Eton Shirts so special. Fits perfectly with a Sport's Jacket or a suit.